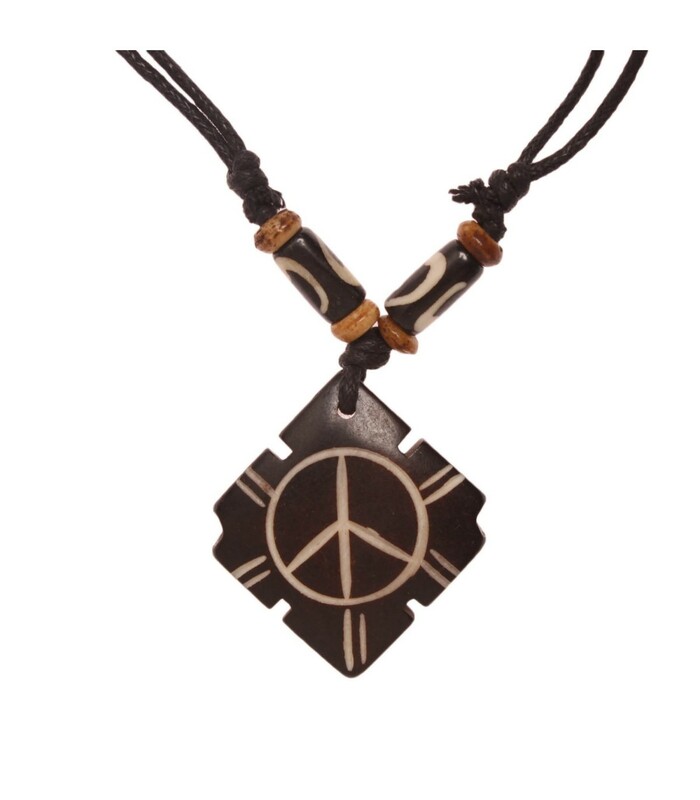 Buffalo bone locket beautifully hand crafted into square shape. 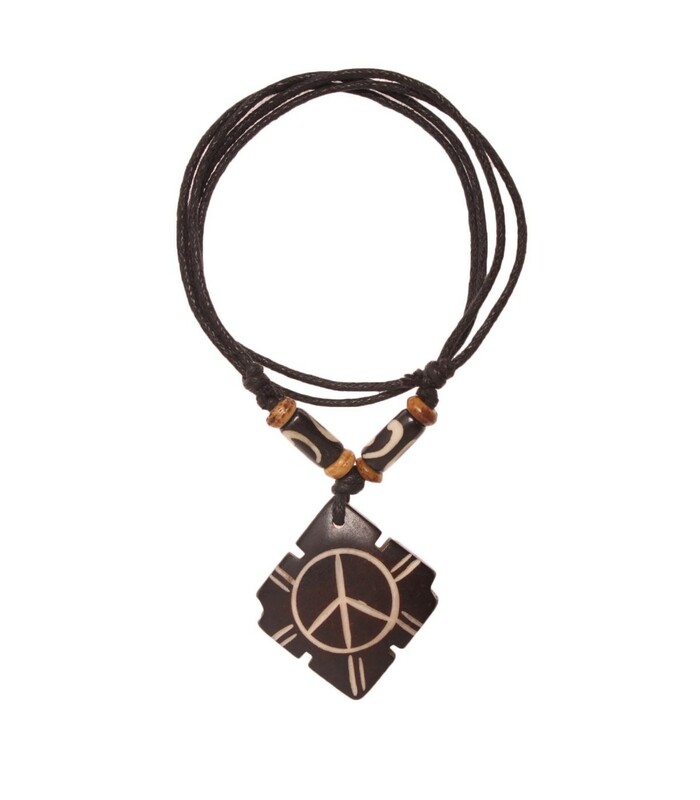 Peace symbol is carved on the square shape. The black cord can be adjusted as per ones preference.